So, in case you were still on the fence about buying the bundle [you can read all the details about it here in this post or you can just jump to buy it here], here are some of my favorite patterns in the bundle. Just some of them, though, because really, who can play favorites when it comes to these patterns? Disclosure: this post contains affiliate links. I receive a small percentage of each sale purchased through my site, but all opinions are my own. Pajama Eaters! These are so genius. Your little ones can zip them open and stuff their jammies inside. Who wouldn’t love that? I want to make my boys some of these for Christmas. I’ll be blogging about the Vintage V-neck Tee next week. I don’t know about your kids, but my boys live in T-shirts. And I like to fill my pattern arsenal with good wardrobe staples like this. I’m excited to show it in action next week! I think the Cape for Women from Go To Patterns would be perfect for a babywearing mama like me. Anybody ever made a cape to use while wearing a baby in a carrier/wrap? Fab sale. In Wisconsin we can blink and the weather can change – you need your sweater in the morning, but it’s shorts weather in the afternoon. Well, until November, then it’s just sweater weather aaaaaallllll the time. I seriously love sweaters. Skinny Jeans! I’ve heard nothing but good things about this Peek-a-boo pattern. In addition to those t-shirts, my boys love jeans. Another perk of homeschooling, my friends. :) Don’t let jeans intimidate you, because Amy is doing a sew-along on her blog there’s going to be a sew-along for the Skinny Jeans starting October 14th. So even if you’ve never sewn jeans, she’ll help you through all the steps. 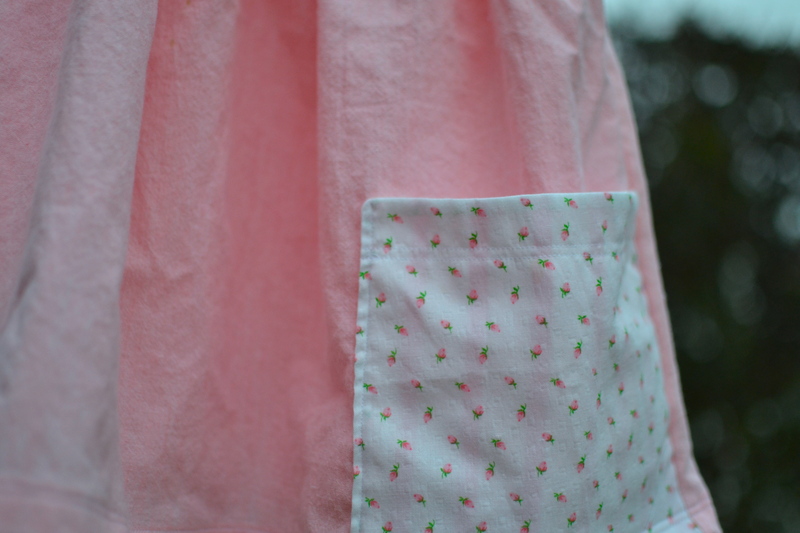 And here’s a sneak peek at one of the patterns that I have sewn up, but will be showing you next week. I am not kidding you when I say I want to make one of these for every little girl in my life. Ahmaaaayzing. But I know that buying all these patterns at once isn’t for everyone. If you don’t want to purchase the bundle, you should definitely check these designers out [and all the other lovelies in the sale!] I love supporting these women, and each of them brings such unique designs to the PDF pattern community. If these aren’t the patterns for you, you’ll definitely find something in their shops that is. Have you sewn any of the patterns that are in the Sew Fab sale? I’d love to see, so please leave a link in the comments. Next postThe Sally Dress [yes, I said dress!] – and a giveaway!